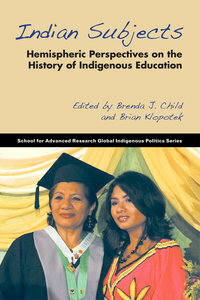 Indian Subjects: Hemispheric Perspectives on the History of Indigenous Education, Co-edited with Brenda Child. Santa Fe, NM: SAR Press, 2014. “Indian Education Under Jim Crow: Understanding Race in Louisiana and the BIA,” in Indian Subjects: Hemispheric Perspectives on the History of Indigenous Education, edited by Brenda Child and Brian Klopotek. Santa Fe, NM: SAR Press, 2014. 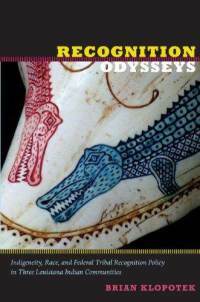 Recognition Odysseys: Indigeneity, Race, and Federal Tribal Recognition Policy in Three Louisiana Indian Communities. Durham, NC: Duke University Press, 2011. With Brenda Lintinger and John Barbry, “Ordinary and Extraordinary Trauma: Race, Place, and Tunica-Biloxi Experiences with Hurricane Katrina” American Indian Culture and Research Journal, special edition on Hurricane Katrina, Andrew Jolivette, ed., vol. 8, no. 2, Summer 2008, 55-77. “Dangerous Decolonizing: Indians and Blacks and the Legacy of Jim Crow,” in Decolonizing Native Histories: Collaboration, Knowledge, and Language in the Americas, edited by Florencia Mallon. Durham, NC: Duke University Press, 2012. “I Guess Your Warrior Look Doesn’t Work Every Time: Challenging Indian Masculinity in the Cinema,” in Across the Great Divide: Cultures of Manhood in the US West, edited by Matt Basso, et al. (NY: Routledge, 2001), 251-273. 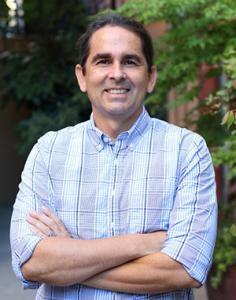 Indian on Both Sides: Indigenous Identities, Race, and National Borders. Manuscript in development.